2019 is expected to be a successful year for the club as it continues to rebuild to once again be the WAFL powerhouse it was in previous decades. 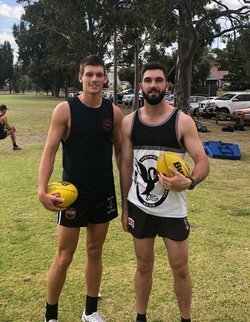 While retaining key club stalwarts Notte, Riggio, Palmer, Ellard, Gault, Howard and Blakely, the club has made some significant gains to its roster including State and WAFL premiership player George Hampson, x-Fremantle Docker Josh Simpson, x-Carlton recruit Jesse Glass-McCasker, South Bunbury and WA State Country player Leigh Kohlmann and Anthony Stephens is making a return to the club. Adding to the club’s healthy mix of youth and experience this season are young talented players Lachlan Riley, Aiden Clark and a long list of promising players who have graduated over the past two years from a successful Colts program which included qualifying for last season’s WAFL Grand Final. The club also continues to make great gains with its community outreach strategy. This season it’s providing a 16 week engagement program for Aboriginal kids at risk and also an inclusion program working closely with people with disability and their carers and families. The objective of the club’s community programs is to improve the lives of people in the Swans Community. These programs are building on the tremendous successes achieved by the club’s V Swans community initiatives in the Pilbara over the past 10 years. 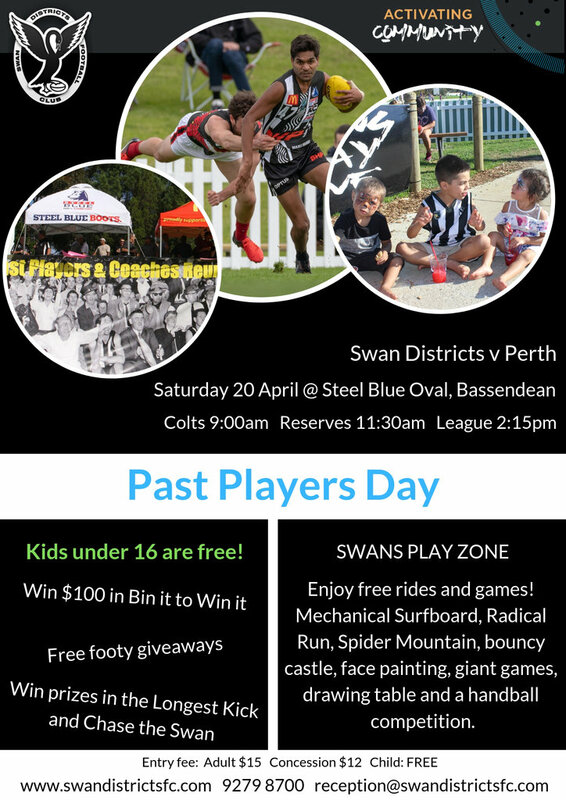 The club’s home games promise to have even more on offer than last season with an exciting new list of free games, activities and rides for kids in the Swans Play Zone together with on field competitions and giveaways. 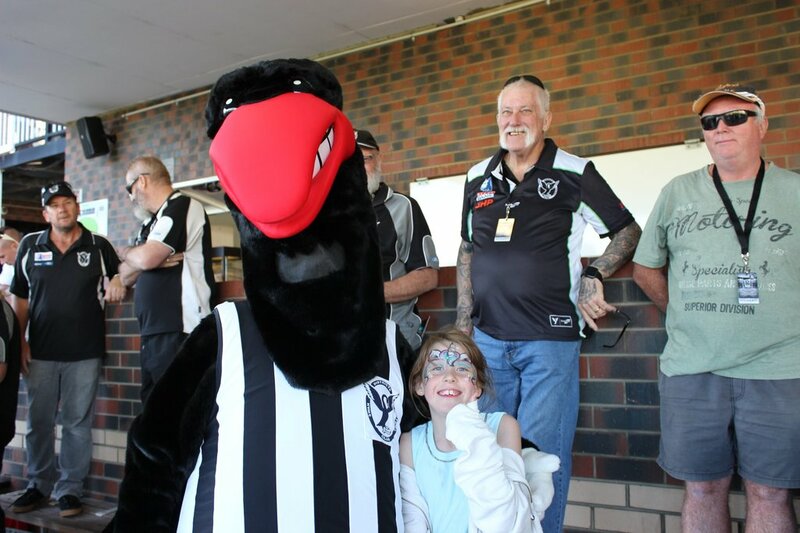 Members in 2019 will receive exclusive opportunities to attend two free Legends of the 80’s pre-game functions at home games against East Fremantle on Saturday 18 May and West Coast on Saturday 3 August. All members will also be able to bring a guest with them free of charge. Other membership benefits include an exclusive Swans Members scarf, two home game ground entries, a $10 voucher to use on club merchandise or in the canteen or bar on match days and a free sausage sizzle and soft drink at the first home game of the season. We would like to make it easy for you, call Jess in the office on 9279 8700 between 9-5pm Mon to Fri or click below go online and be ready for the start of what’s going to be a great year for Swans.